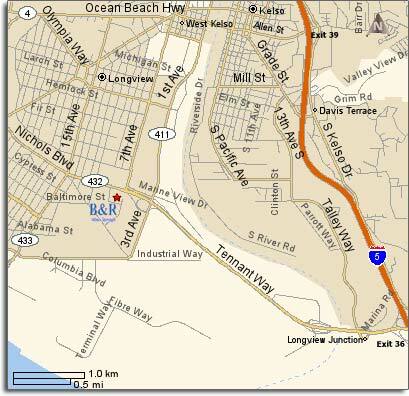 Driving from I-5: Take exit 36 and proceed straight on to the 9th Ave intersection (first traffic light). Turn left and drive around the block almost to the 4-way stop sign. You will see our parking lot on the left hand side. ©2005-2019 B&R Mini Storage, All Rights Reserved.